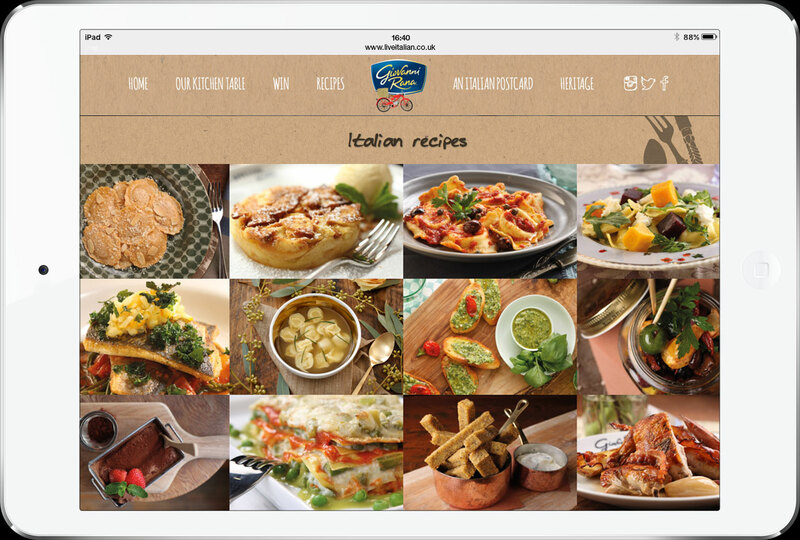 Website development for Wildcard PR's client Giovanni Rana. 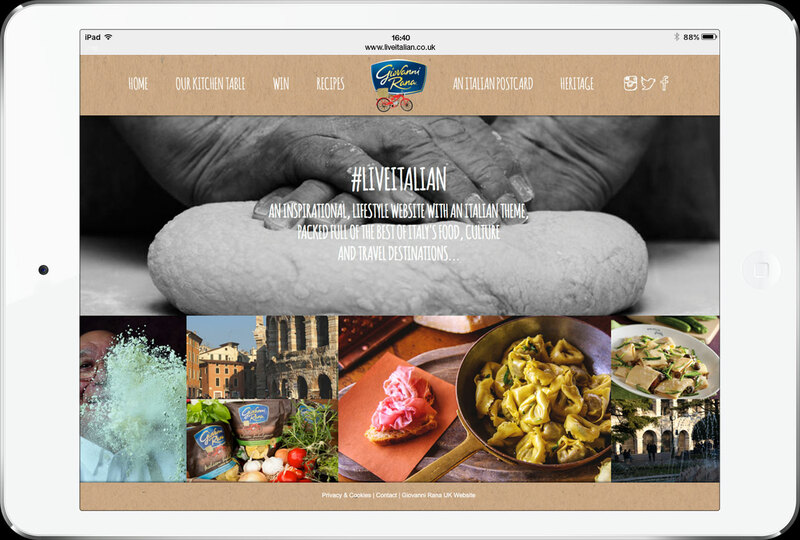 #LIVEITALIAN a lifestyle hub for all things Italian - food, culture and travel. 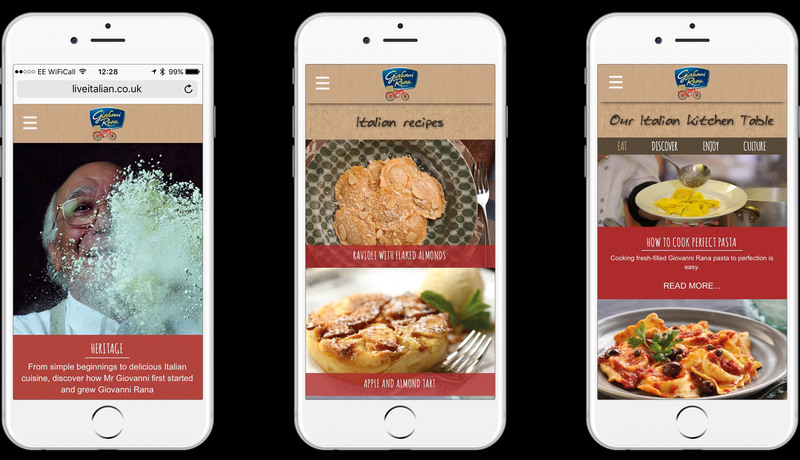 The client requested a bespoke CMS for uploading competitions, recipes and information as well as interaction with Social media and data collection. There is also a voucher system which rewards customers with product discounts and offers.